The students were all given after school detention as punishment for skipping class. Students from Savannah Arts Academy walked out of school today in protest of gun violence. 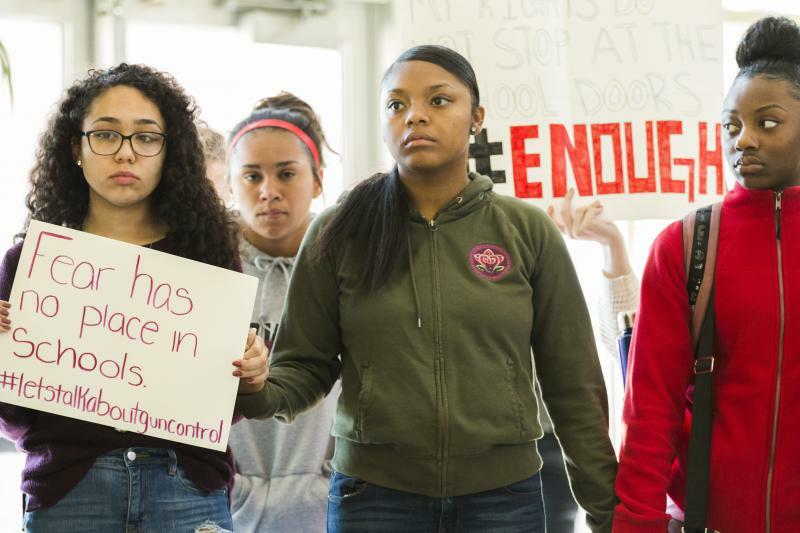 Students give speeches demanding action on gun laws with the administration's blessing at Maynard Jackson High School in East Atlanta. Women from the advocacy group Grannies for Peace support Grady students from the sidelines during their walkout. 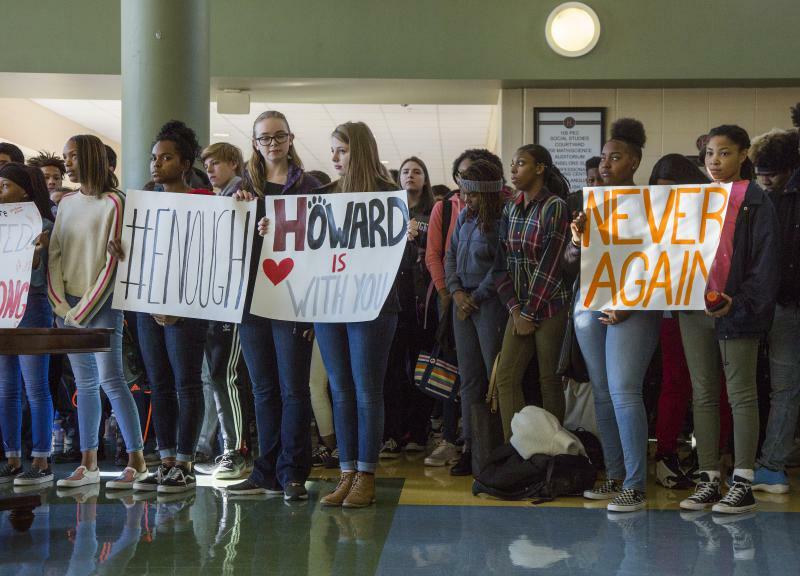 Reporter Grant Blankenship covered the student walk-out at Macon's Howard High School. 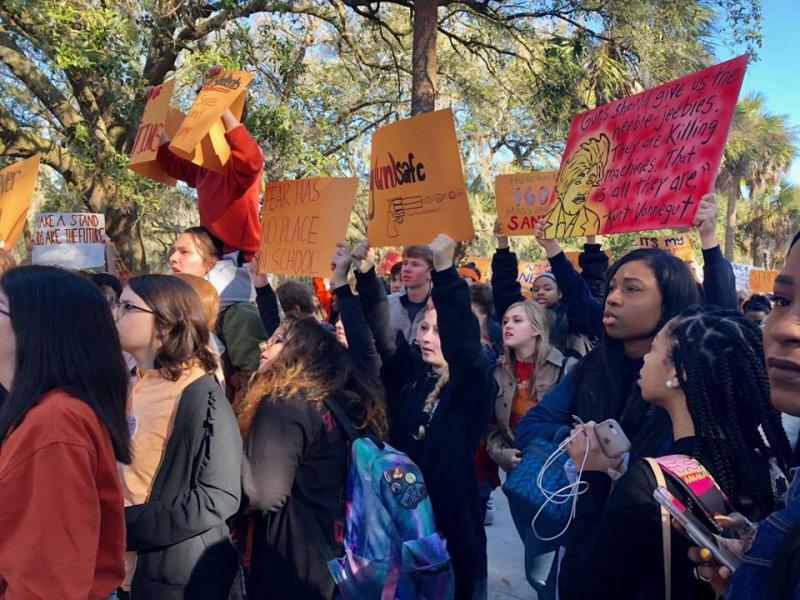 Reporter Cindy Hill-Williams covered the student walk-out at the Savannah Arts Academy. Reporter Emily Cureton filmed students walking out of Maynard Jackson High School Wednesday morning. 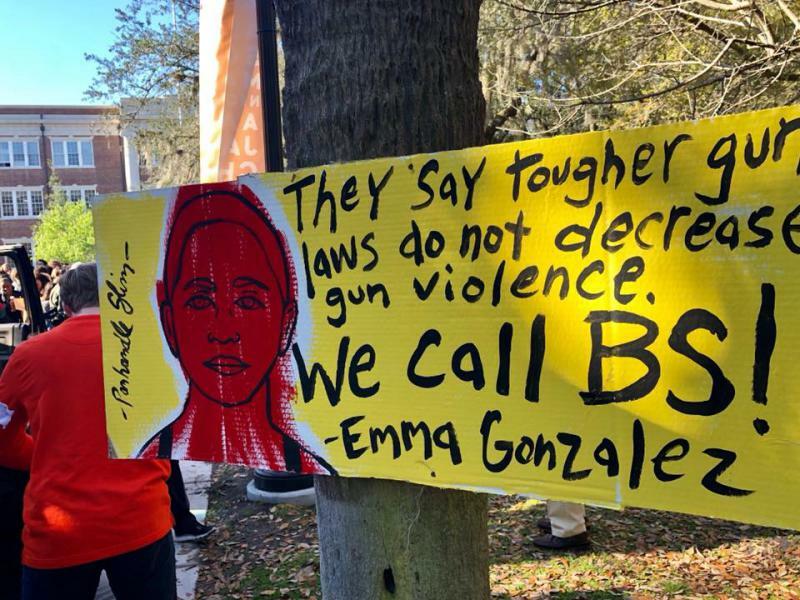 Student Walk-Out in Georgia: What Are The Ramifications? A month ago, 17 people died in a mass school shooting in Florida. 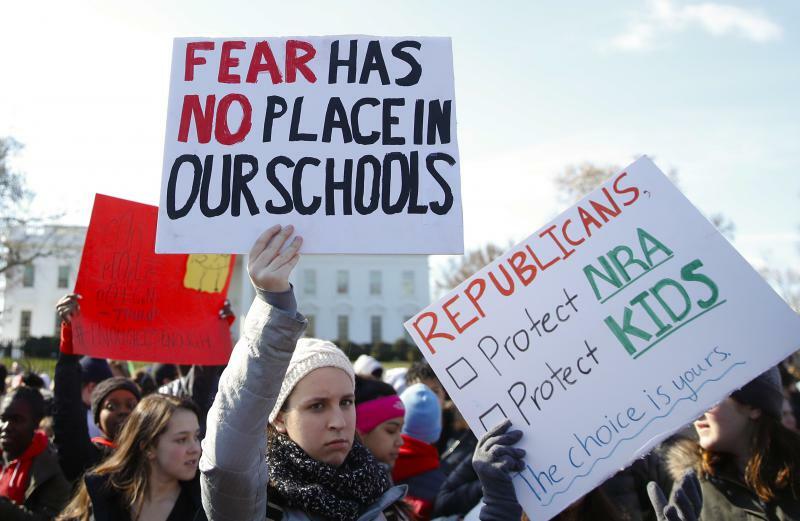 To remember the victims, students nationwide are walking out of their classrooms Wednesday morning in solidarity. 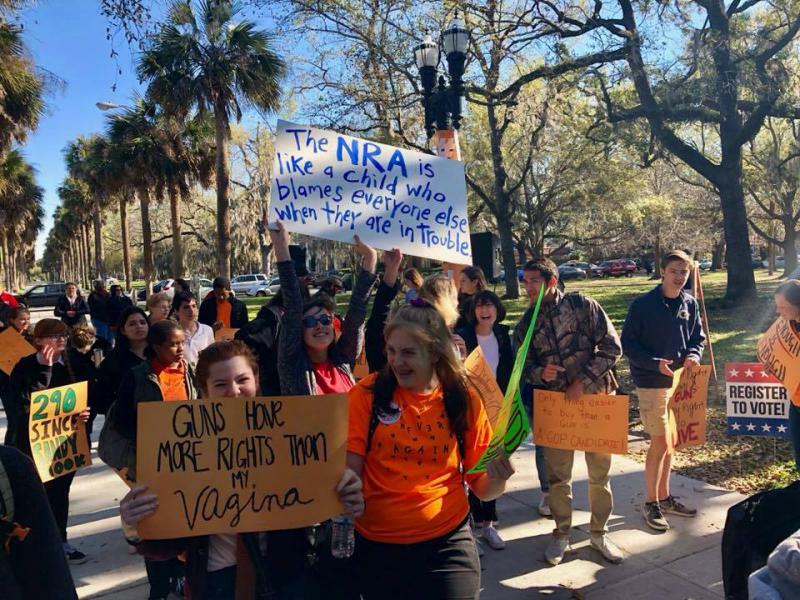 We hear from Lauren Bengtson, a highschooler in Georgia organizing one of these walkouts and we also speak with her father, Mike Begtson.